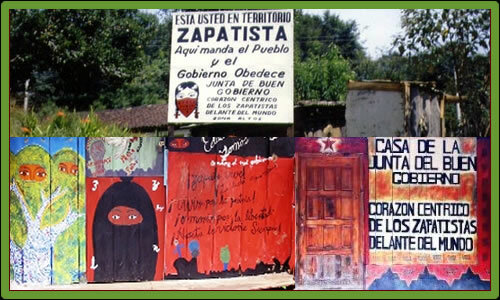 Following the attacks denounced by the La Garrucha Good-Government Council (JBG) on 25 June, several letters of rejection and demonstrating solidarity with the Zapatista communities were released. 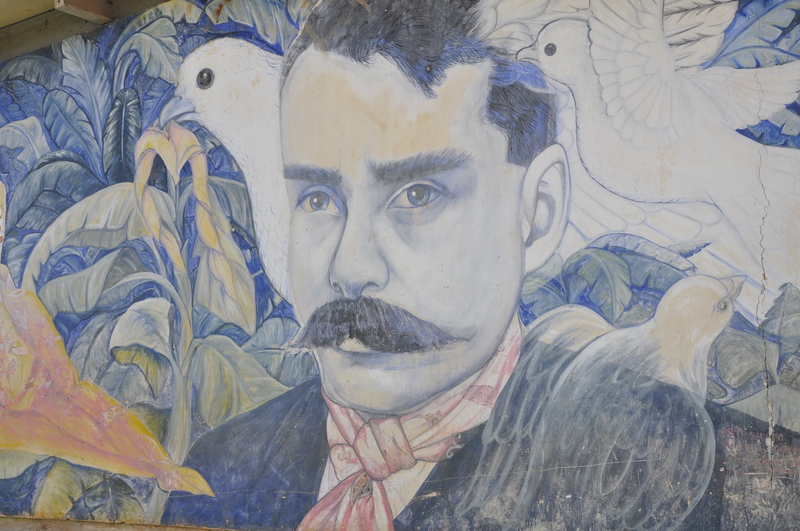 Said letters originated from different parts of Mexico, and beyond: Aguascalientes, Baja California, Chiapas, Colima, Distrito Federal, Guanajuato, Hidalgo, Jalisco, Michoacán, Puebla, Querétaro, San Luis Potosí, Sinaloa, Tlaxcala, Veracruz, Zacatecas, and Germany, Argentina, Austria, Bolivia, Brazil, Catalunya, Colombia, Spain, USA, France, the UK, Paraguay, and Uruguay. 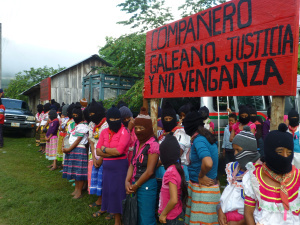 In this way, the Network against Repression and for Solidarity (RvsR) organized the adherents to the Sixth Declaration of the Lacandon Jungle and the students of the Escuelita Zapatista as well as social and political organizations to participate in a global day of action, “THE ZAPATISTAS ARE NOT ALONE!” The same actionw as organized to carry out decentralized actions between 12 and 19 July 2015, and actions were taken in Guadalajara, Mexico City, and Tampico. 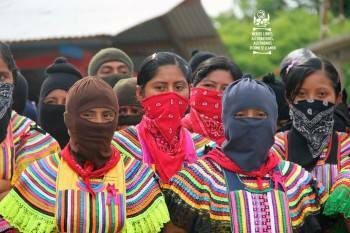 Whatever action that may be taken can be communicated to the following e-mail addresses: comunicacion@redcontralarepresion.org and redcontralarepresion@gmail.com.